Update: Early order announcements at the end of this post. June 19, 2017, © Leeham Co.: Boeing made it official today: the 737 MAX 10 was launched at the Paris Air Show with 240 sales. More than 10 customers–to be identified later–ordered the airplane, said Kevin McAllister, CEO of Boeing Commercial Airplanes. The MAX 10 challenges the Airbus A321, which has outsold the 737 MAX 9 by a factor of three or four to one, depending on how orders are measured. Boeing 737 MAX 10. Source: Boeing,. Airbus has sold more than 1,400 A321neos. Boeing doesn’t break out sub-type orders for the MAX but at times acknowledged around 300. LNC estimated there were about 410 orders, based on Lion Air’s current fleet and orders for the 737-800/900. It’s unclear how many of today’s orders are conversions from the MAX 9. John Leahy, COO Customers of Airbus, dismissed the new 737. The A321neo requires installation of auxiliary fuel tanks to achieve the longer range. Without any tanks, the MAX 10 has a slightly longer range, which is the basis for Boeing’s claim that the MAX 10 can fly farther. With one AUX tank, the A321neo flies farther and with three, it hits the 1,000 mile range Leahy points to. Boeing claims the 737-10 will have 5% better seat mile and trip economics than the slightly heavier A321neo. Airbus claims its airplane is about 1%-2% better than the MAX 10. LNC’s own analysis, using normalized cabin configuration which has virtually the same number of seats at the same seat pitch and other features, concludes that the economics are on a par. The market demand for the MAX 10 is open for debate. Some analysts believe Boeing will sell between 200-300. Boeing believes it will be 1,000. LNC believes MAX 10 orders will come in part at the expense of MAX 9 orders that have already been placed. 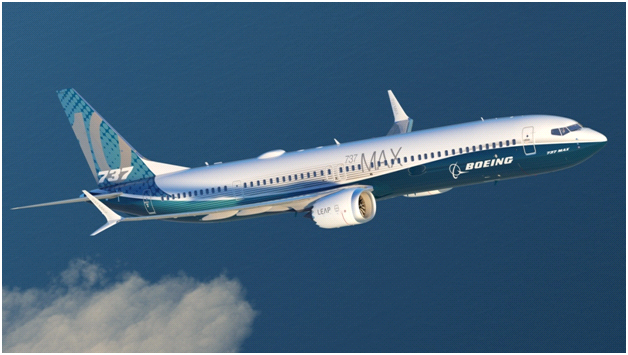 The MAX 10 could also cannibalize the 737 MAX 200, the high-density version of the 737-8. Ryanair is reported to be In talks to order the MAX 10. The MAX 200 will carry between 194-197 seats in Ryanair’s configuration. The MAX 10 has an advertised maximum capacity of 230. The MAX 200 has more range than the MAX 10, however. TUI, 18–converted from previous MAX deal. CDB Leasing, 10, including 8 converted from previous MAX deal. No hint where those orders come from? Yeah, I’d worry quite a few of them are cannibilised orders. But, Boeing can make this compete with the A321 or exceed it. Leahy is just giving Boeing a taste of their own medicine – smack talk. It’s absolutely the right move by Boeing to release this plane and it will fill up 757 slots nicely. It will be an NMA light when all is said and done. Wish Mr.JL will do a similar comparison between the A320NEO and MAX8? I don’t think the 737-10 will fill the shoes of the 757-200. Not in Range and passenger. I see the MAX 10 as a very sensible placeholder. If there is a current 737 operator the MAX 9 was not cutting the mustard in some circumstances. This led to the possibility for the operator to go partially or wholly into the Airbus camp. The MAX 10 does just enough to reduce significantly the risk of that happening. I could easily see up to 1,000 orders for this variant if not more. The downside will be the additional costs of developing yet another variant and the cannibalization of MAX 9 orders. Further when does a plane become a train? The ground performance is going to be rather poor. If it can fly an unrestricted/effective 2000-2500Nm if covers a large percentage of the market requirement. By my count, of the ~100 orders/commitments announced so far, about half are new and half are conversions. But it seems like the conversions are mainly from the MAX 8. That suggests the MAX 10 has enough of an improvement in economics to win business from customers that weren’t interested in the -900ER/MAX 9. It is of course difficult to decide if a conversion is from the 737-8 or -9, as Boeing does not make any mentioning in its system about the distribution between -8 and -9 in their orders. We will see later what gets delivered. Even if no 737-9 gets converted, than about 410 -9 and 240 -10, brings us to 650, compared with about 1400 A321neo on order and I assume this number will increase over the show. Stop press, maybe Max 10 is not so bad after all! Like most passengers, the improved crash worthyness of the A320 is not my foremost consideration when judging the safety of an aircraft. Are there any real numbers, other than propaganda, to support the notion that the A320 has “improved crash worthiness” over the 737? Honest question here because I spent some time a couple of years ago looking into this and didn’t find anything definitive. I don’t know, but there is real data that says the A320 seats are significantly wider than the 737 ones. Won’t matter to most people (who just chase the lowest price) but it’s still frustrating to me. Oh, I believe the A320 seats are wider. Not sure, though, how “significantly” wider they are. I fly transcon on United often, usually a window seat, and I have to say that I can’t detect the seat width difference between the A320 and 737. However, that could be because I’m very uncomfortable on both types, mostly in the shoulders but also United’s seat padding seems to be pretty thin. I will say that the aft lavs on United’s A320s are less cramped than those on their 737s, with the fuselage curvature on the 737 making it difficult for someone my height to stand up close enough to the bowl. Now you show me at my nerdy best. Perhaps you missed out on the wheeze I noticed on A321s by LH plus affiliates where the middle seat was significantly wider than aisle or window. I noticed a discrepancy and measured it to be sure. It was at that point I realised how empty my life had become and I started going out more and considered therapy. Wasn’t aware that was done on the A321. It doesn’t seem to me that a wider middle seat would do anything to alleviate the shoulder problem unless the aisle is made narrower. compare Amsterdam to Habsheim ? I don’t know either, but it is always cited as the reason the 737 is slightly lighter along with the smaller fuselage diameter. As l would be unlikely to survive a crash anyway, I’m not that bothered and I sometimes wonder why the regulators are. Why is Boeing launching this thing? I mean, I’m still trying to figure out what the 737 MAX 10 does so well. For example, it doesn’t seem to work as a long-haul single isle (at least not near as well as the A321NEO) – in fact, the MAX 10 range is kind of puny in comparison. Also, it seems to be only a tiny stretch (2 rows) over the existing 737 MAX 9.
is there any reason to believe the -10 won’t outrange a 321 when both have 3 aux tanks? Well, if Boeing could make the 737 MAX fly as far as the Airbus A321, then why don’t they offer the plane to customers? Instead, all they offer is something that has nearly 800nm less range than the Airbus A321 LR. With two extra auxiliary tanks, the A321neo has slightly more range than the 3,450-mile range of the MAX without such tanks, Leverkuhn said. But Boeing can trump that by adding just one tank to the MAX 10, which extends its range to 3,700 miles. Maybe more range but also less passengers. The problem for MAX10 will be to get of the runway in time. Not in a metaphoric way in real. The required runway length will be a show stopper. How many airlines have bought the extended range 321? Exactly. Not much of a market for it in this segment.Doesn’t help that all the cargo space is gone (except for passenger bags}. Makes great press but it’s a niche market and not a true 757 replacement they like to portray it as. The numbers are still prelim, but some number crunchers seemed to indicate that the launch day orders for the 737-10 amounted to 34 net of conversions. There are two to three more days to go to reach the USD30 billion mark. Rewind to 2010, should Boeing invest in a CFRP fuselage 737 replacement? While the MAX can never be modernized to equal the A320 platform, the market and longevity it appears to be capturing as an interim aircraft between the NG and the NSA is exceeding all expectations. Not to mention being a fortuitous choice with the flattening price of oil.